We’ve got some new pictures for you, they are flowing in thick and thin now. These two come from a German magazine Cinema, and come via The Raider. 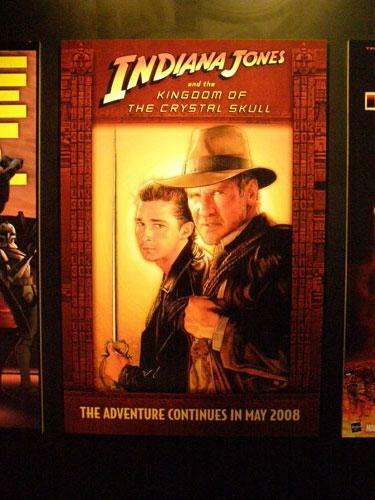 Indiana Jones Trailer is here, now high quality! We didn’t quite fancy that bootlegged version very much, so we saved ourselves for the high resolution quicktime format that is now available on Yahoo! If you think the wait is just too long, some kind video-camera weilding fellows have put the video up on YouTube for your viewing pleasure - catch it while you can! 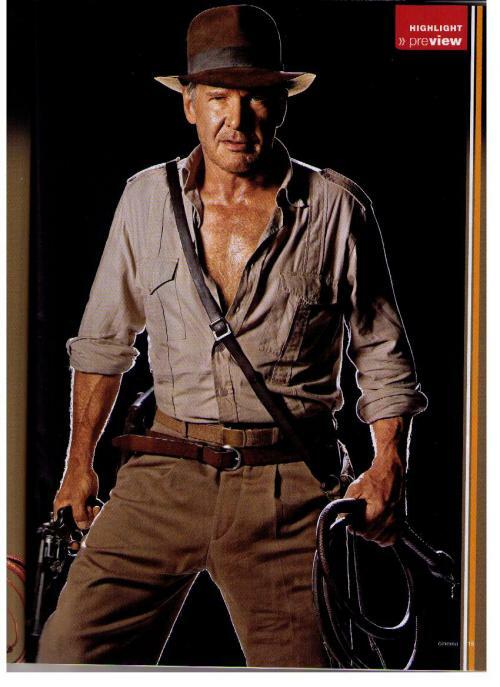 Answering the call for all things Indiana Jones is the new magazine following his adventures: Indiana Jones Magazine. 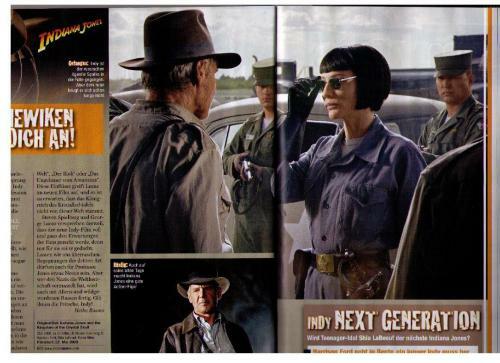 Containing tons of movie news, the magazine covers all the action with Indiana Jones and the Kingdom of the Crystal Skull, interviews with the cast and crew, and much more. This special commemorative movie edition first issue contains 100 full color pages, for $9.99 and will be in stores on May 22, 2008. Covers after the break (via Scoop).